On Sale for $6.99, save $5 per six pack! This limited-release India Pale Ale (IPA) is an aggressive wee beast that is dedicated to our friend Joseph Wood of Liberty Brewing and to all those hopheads who love drinking IPA day in, day out. 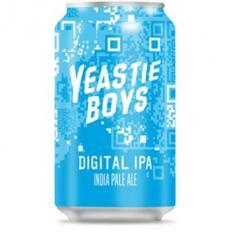 Just as the term digital is all about zeroes and ones, the concept of IPA is all about malts and hops. Enjoy the rich golden malt backbone of Digital while you can... then feel it closing in as the fruity Motueka-grown hops dominate your palate and don’t ever fade away.